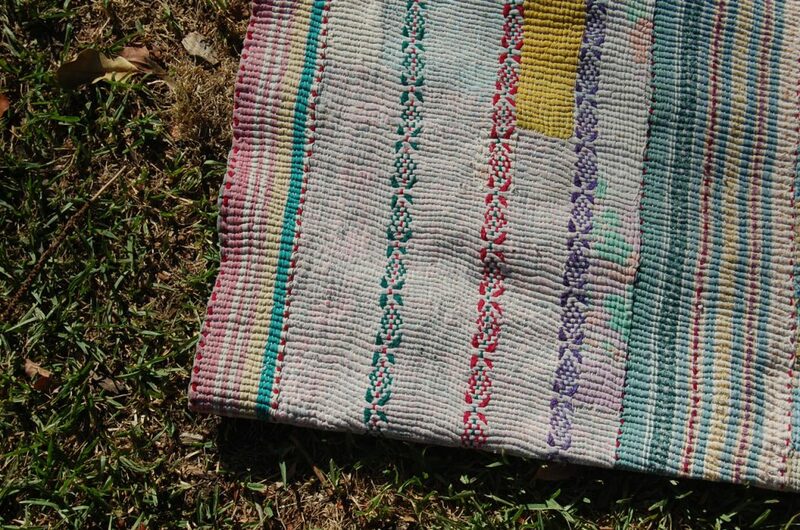 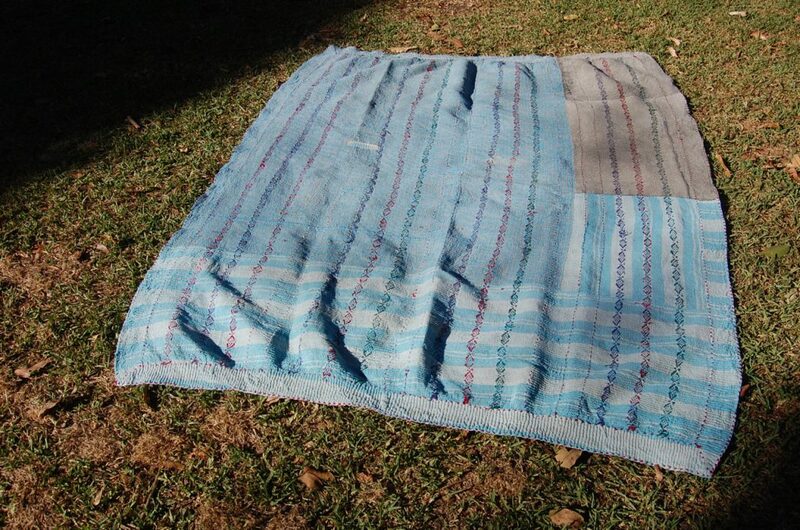 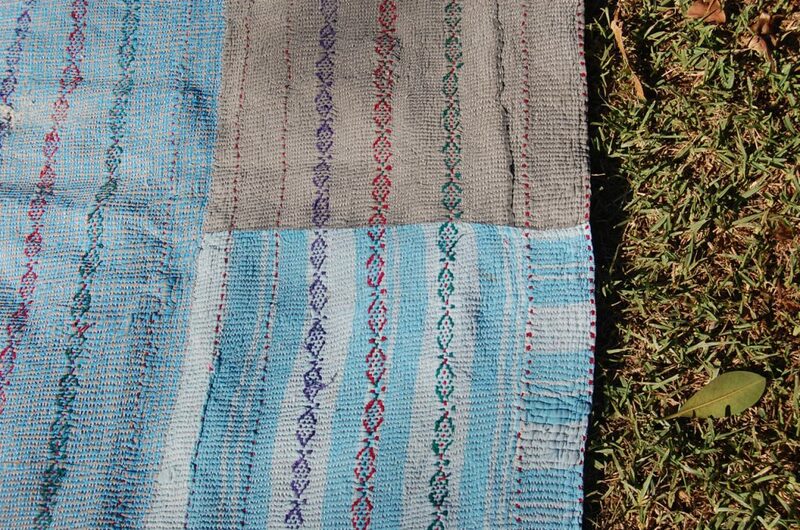 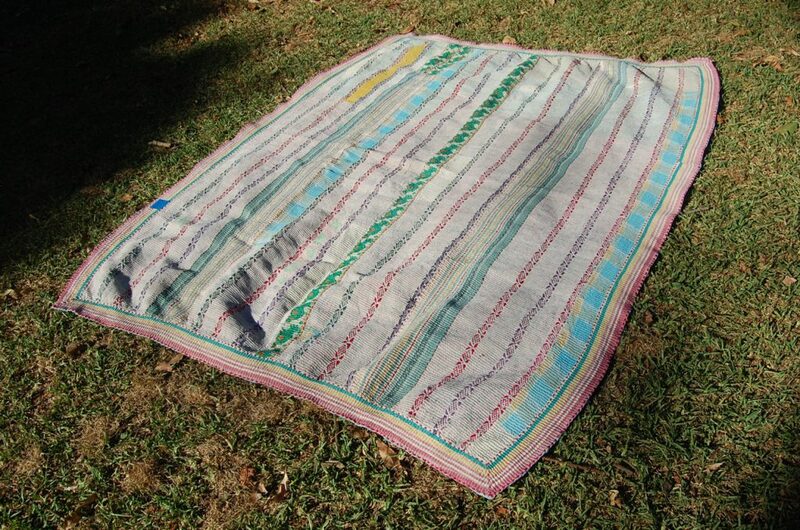 NINA is one of the thickest and heaviest kantha quilts we stock. 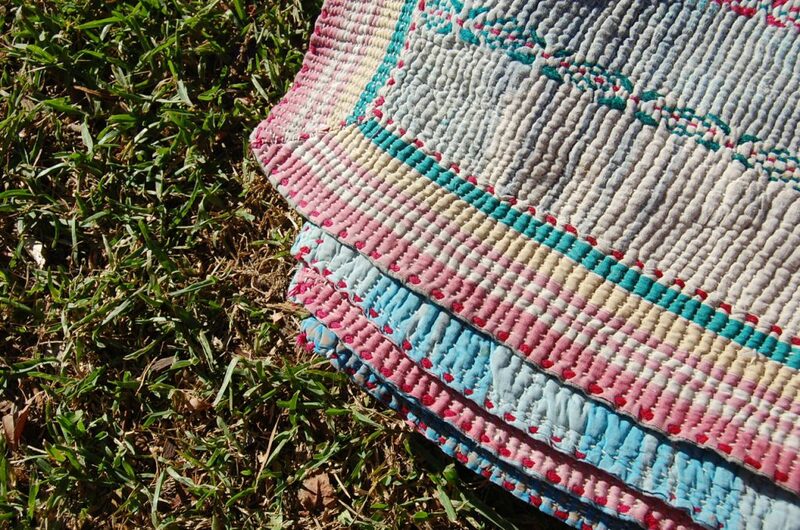 Used as a picnic blanket or floor rug, even as a bohemian bedding quilt, it’s weight and beautiful hand-tooled stitching pulled tightly creates a very tactile and thick quilting perfect for home use. 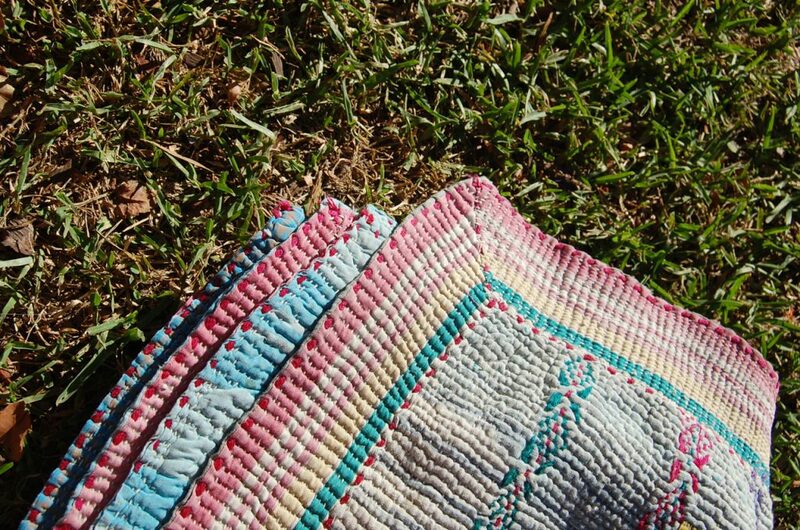 Contrasting to the tactile qualities, the colour scheme emanates a soft mood, of pastels and baby pinks and blues. 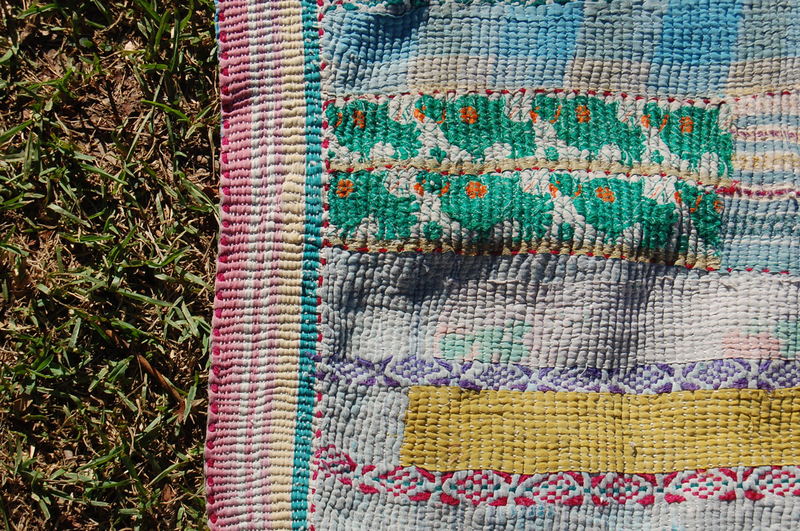 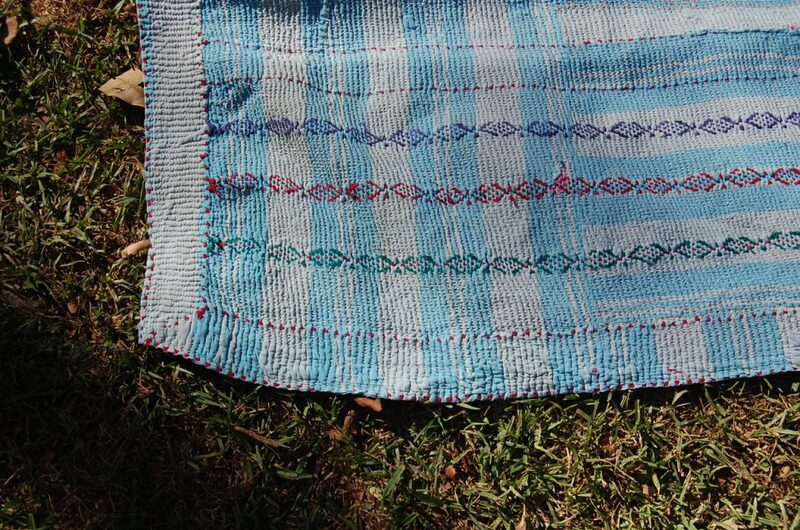 The patches and patchwork of this quilt are immaculately stitched onto the tapestry, some characteristic *disintegration is evident and a pretty thick threaded border outlines the hem. 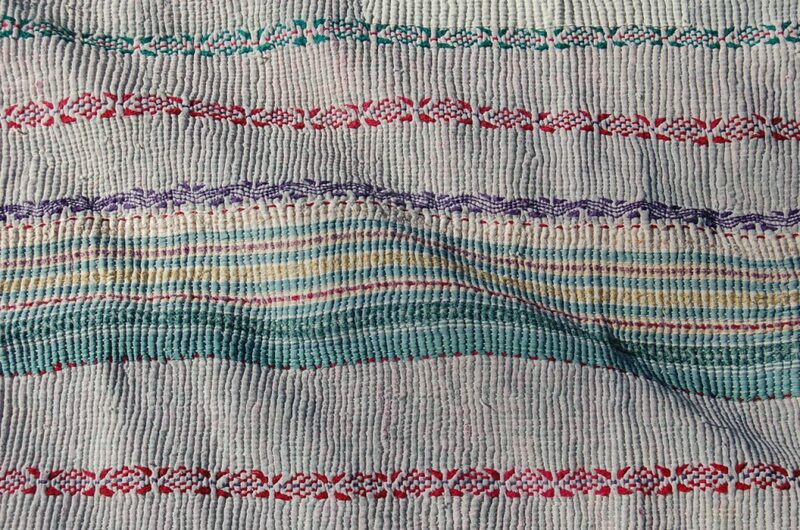 *Disintegration relating to the kantha is the wearing of top layers of the saree fabric to reveal the layers underneath. 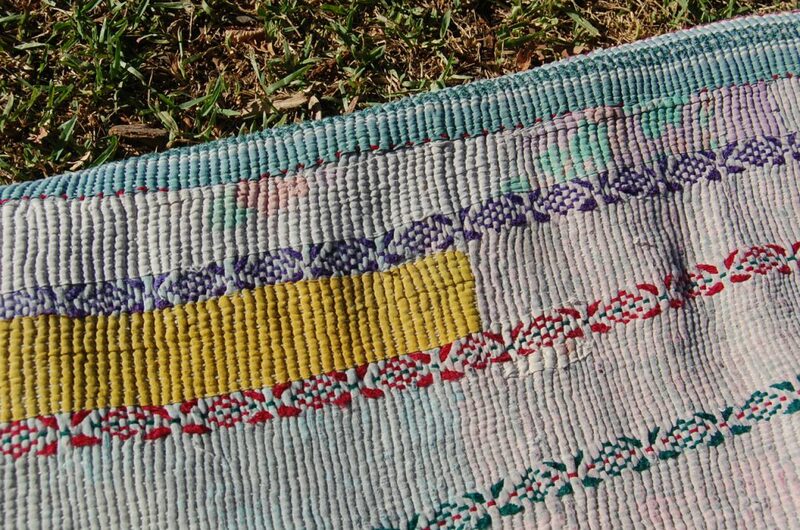 This creates a unique effect which shows through various colours and pattern from previously hidden layers.